ISLAMABAD, DEC 07 (DNA) – Uzbekistan is set to become the biggest trading partner of Pakistan from Central Asia as the bilateral trade between the two countries has improved from $36 million in 2017 to over $90 million in 2018. Uzbekistan has over $500 million bilateral trade with Afghanistan and with more serious efforts from both sides, Uzbekistan and Pakistan have the potential to increase the two-way trade volume up to $1 billion in next 5-6 years. This was observed by Furqat A. Sidikov, Ambassador of Uzbekistan while addressing business community at Islamabad Chamber of Commerce & Industry. Furqat A. Sidikov said that Uzbekistan was interested in joint ventures with Pakistan in agricultural machinery, electronics, textiles and many other fields. He said Uzbekistan wanted a trilateral agreement of transit trade with Pakistan and Afghanistan in order to boost trade to higher levels. He said Uzbekistan was also keen to build a railway link with Pakistan through Afghanistan that would make Pakistan an international hub of business activities. He said Uzbekistan was desirous of signing a free trade agreement with Pakistan that could boost trade up to the real potential of both countries. He said that Pakistan and Uzbekistan have great scope to enhance cooperation in culture and tourism. He said Uzbekistan has conducted direct flights between Lahore & Tashkent and in future flights from Karachi and Islamabad to Tashkent including cargo flights could also be arranged.
. 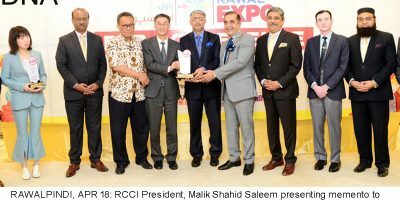 He said Pak-Uzbek Business Council was playing a facilitation role for the business community of both countries to improve trade and emphasized that Pakistani entrepreneurs should take benefit of this platform to promote trade relations with Uzbekistan. Speaking at the occasion, Ahmed Hassan Moughal, President, Islamabad Chamber of Commerce and Industry said that Pakistan accorded great importance to its close relations with Uzbekistan. He said enhanced cooperation was highly beneficial for both countries as Uzbekistan could provide easy access to Pakistan to Central Asia, Europe and Russian markets while Pakistan could provide better access to Uzbekistan to reach South Asia, Middle East, Africa and other markets. 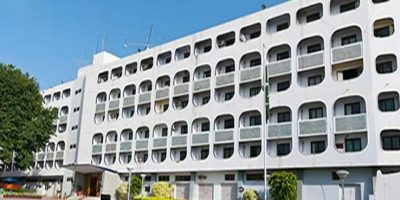 He said Pakistan could export many products to Uzbekistan including food products, textiles, pharmaceuticals, surgical and sports goods. Similarly, Uzbekistan could export oil and gas, minerals and other products to Pakistan. He urged that strong efforts should be made for the materialization of Pakistan-Afghanistan-Uzbekistan Trilateral Transit Trade Agreement that would remove trade barriers and bring huge benefits to all the parties. 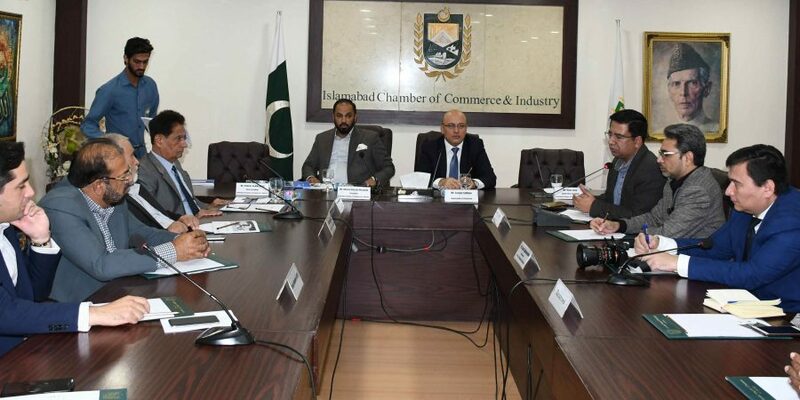 Rafat Farid Senior Vice President and Iftikhar Anwar Sethi Vice President ICCI stressed that Uzbekistan should explore JVs and investment in CPEC. They underscored the need of developing strong connectivity between private sectors to explore all untapped areas of potential cooperation and further strengthen trade and economic relations between the two brotherly countries.